* New Torrent download plugin. * New "Scrape using media derived title (instead of file name)"
* New "Do not display the media's position/duration on top of thumbnails"
were not in the same folder as the video. within 2 weeks after runing the Instal Center. until Zoom Player was closed. - The key-mapping editor's search feature did not work. in the SHOUTcast station browser dialog. go to the previous track/chapter. a refresh option instead of a message that the category is empty. automatically close when switching between tracks. even if no media is currently playing. the titles on navigation interfaces showed the wrong title. publishing dates for some RSS feed (e.g. YouTube RSS). dialog failed with an error message. under some conditions, reporting an empty category. name when a playlist URL was used instead of an actual file. and web browser developers, founded in 2015.
quality/bitrate compared to HEVC (H.265). and scripts directly from a media library category thumbnail. top of other application when switching to fullscreen mode. (otherwise load as web page). application or script as soon as the playlist completes playing. to identify using their file names and URL addresses. of the full file name or url. category thumbnail for feeds that support them). entries will now be second-level sorted by URL. raised from 2000 to 5000.
new resolutions are set according to the numbers above. folder instead of the 'my documents'. the windows temp folder instead of 'my documents'. superfluous spaces before/after the returned text. terminating correctly, causing Zoom Player to freeze on exit. history to be saved incorrectly. - The "Continue to the next Playlist item when an invalid file is played"
the active playlist entry as specified in the playlist file. and music OSD if the selected font did not support the characters. unsupported character from a system-default font. to appear in the playlist editor. the dialog multiple times on different days. the URL was a playlist. enabled prevented playback of the station from starting. - Parsing ".CUE" files failed when the an entry contained the word "TRACK"
in either the performer or title tags. that let you easily color-code track(s) text and background colors. 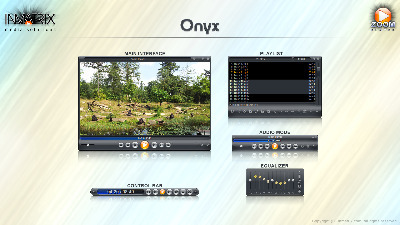 Zoom Player's default ZPL format playlists. the alternating playlist editor line highlight color. playlist as the search filters down the list.